Skilling Uganda will liberate Ugandans from job seeking fixation. Today, the government is groundbreaking several sites ahead of construction of technical colleges. The initiative is part of the wider 10-year strategic plan code-named Skilling Uganda. The more than two trillion strategic plan will see the construction of several technical colleges, renovating existing colleges, developing curriculum and building capacity of instructors among other activities. The Skilling Uganda strategic plan is one of the best things that have happened to Uganda in the recent years. Currently, there are loud unemployment cries among the youth and the general population. There are also criticism among employers of lack of skills among people who graduate from our formal education institutions. Skilling Uganda is coming in handy to train Ugandans the skills they need in the employment world. The scheme is particularly most appealing because of training people in skills they can use to create their own employment. The beauty about the courses taught in the Business, Technical and Vocational Education is that one needs very little capital start for example a simple carpentry plant or a small saloon after graduating. The other interesting innovation is the incorporation of the informal training within the strategic plan. This will help many unemployed people including graduates from the formal education system to enroll and learn some skills they can use to get jobs or to start their own businesses. 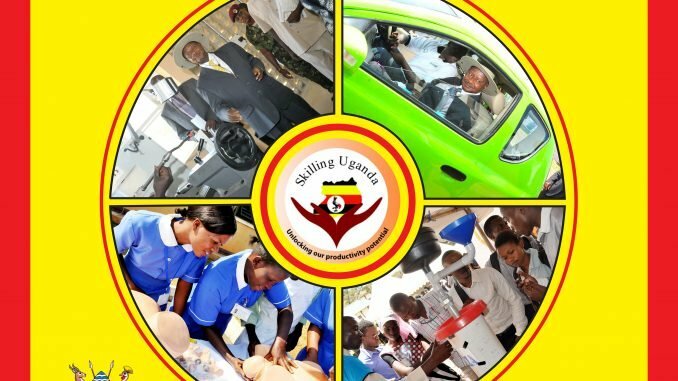 Skilling Uganda will give productive sectors of the economy the labour they need thereby stimulating economic growth. The scheme will also enable people to earn some income after completing their courses. This will improve people’s living standards and contribute to national development in line with the Millennium Development Goals and Vision 2040. Skilling Uganda makes a lot of sense because it will be able to absorb the school drop-outs from the Universal Primary and Secondary Education that are currently relatively high. The onus is now on everybody to mobilise support for this programme.